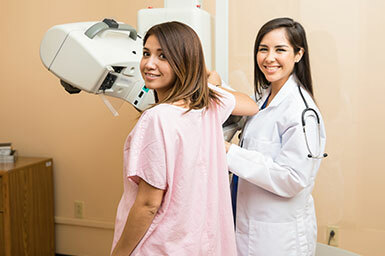 The Breast Imaging Center provides mammography services at the UT Health San Antonio MD Anderson Cancer Center, through a partnership between the cancer center/UT Health San Antonio and University Health System. Mammography uses low-energy X-rays to examine breasts. This procedure, known as a mammogram, is used to diagnose and screen for breast diseases in women. Call 210-644-8850 to schedule an appointment. We believe in a caring, compassionate approach in our preventative screening exams. We will listen to you and help you with any follow-up appointments that may be required. Meet our doctors and the mammography team. If you have questions about payments or insurance, please call 210-644-8850.